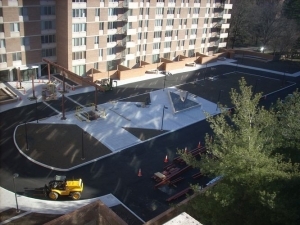 Type of Work: Evaluation and repair design to address structural deterioration and waterproofing issues with an existing plaza and two-level garage structure, enhancement and modernization of the plaza hardscaping and landscaping, associated structural strengthening, removal and replacement of the plaza waterproofing and expansion joint systems and replacement of a large steel framed building entrance canopy. 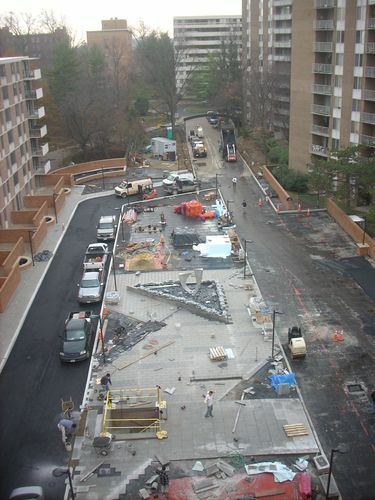 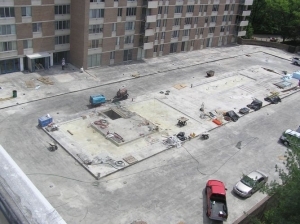 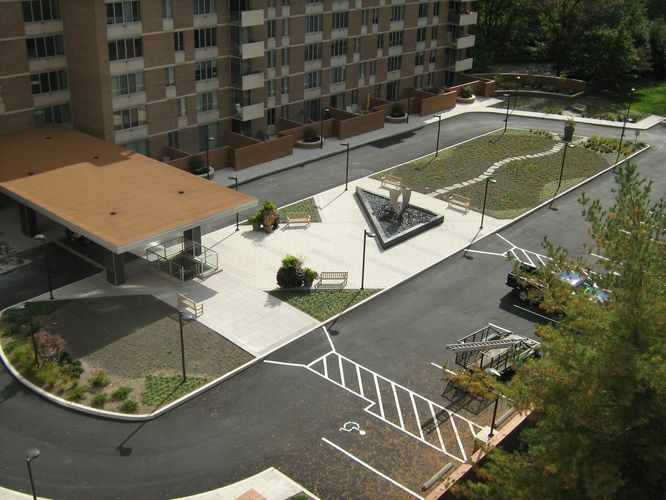 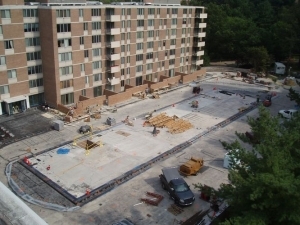 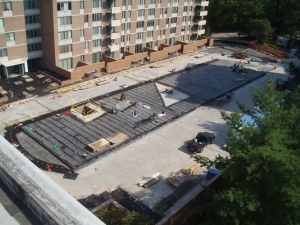 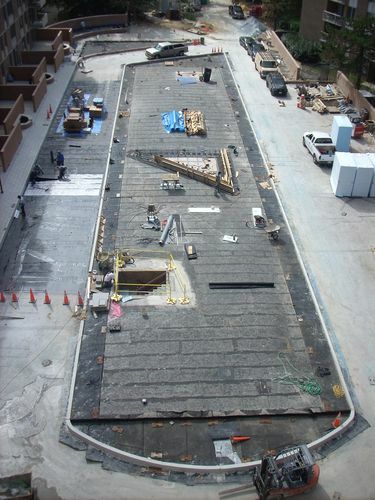 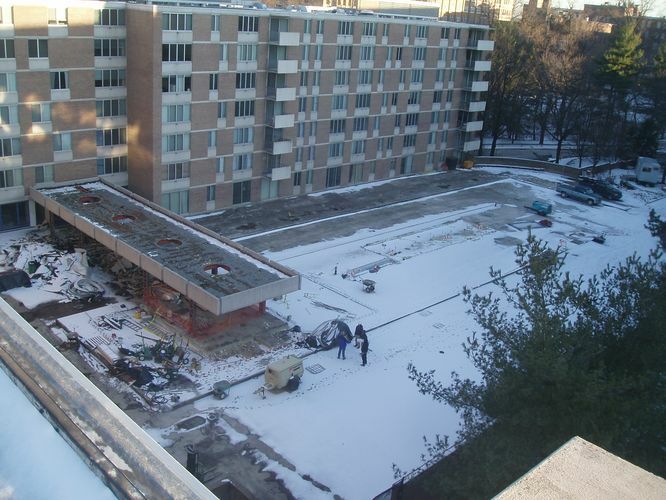 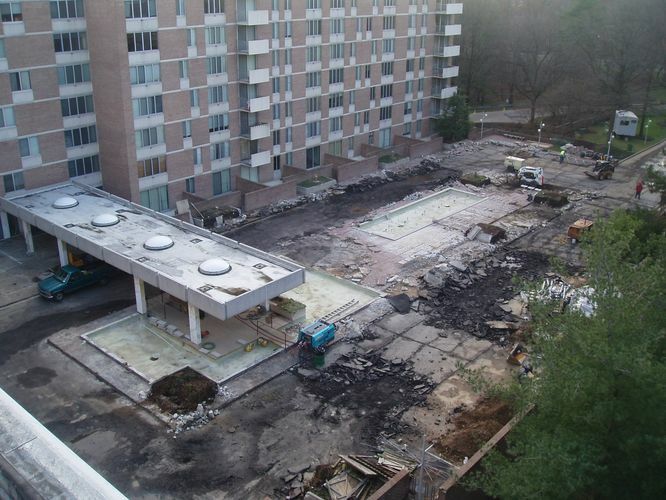 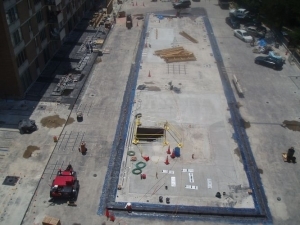 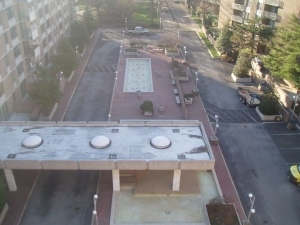 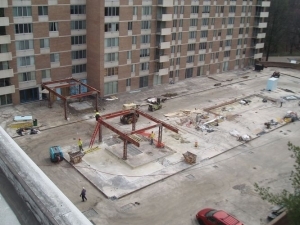 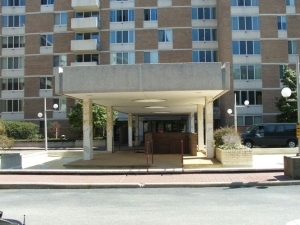 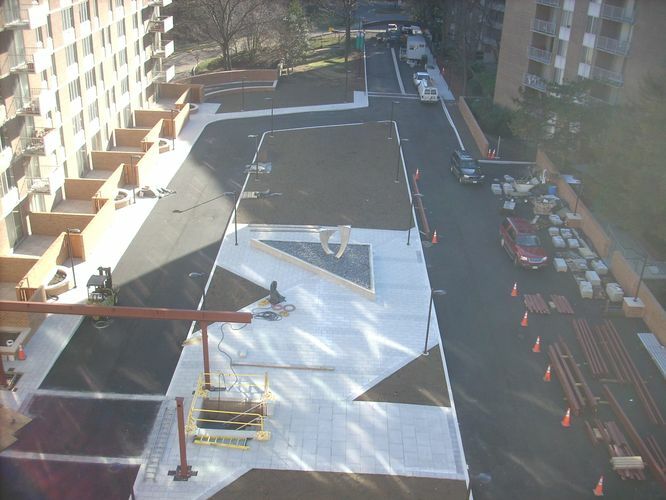 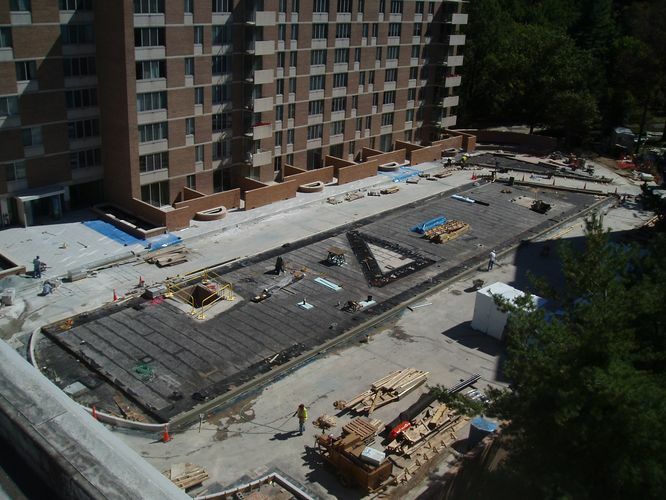 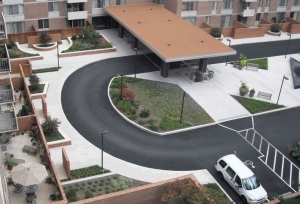 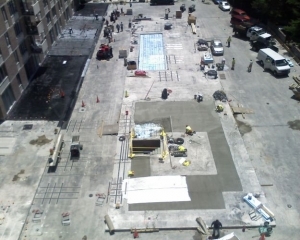 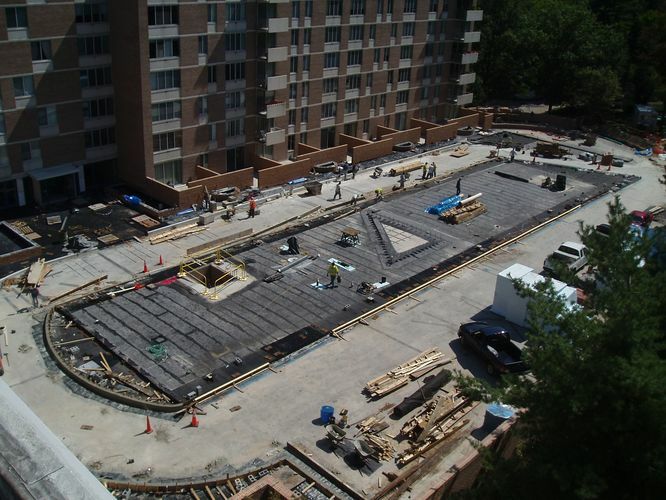 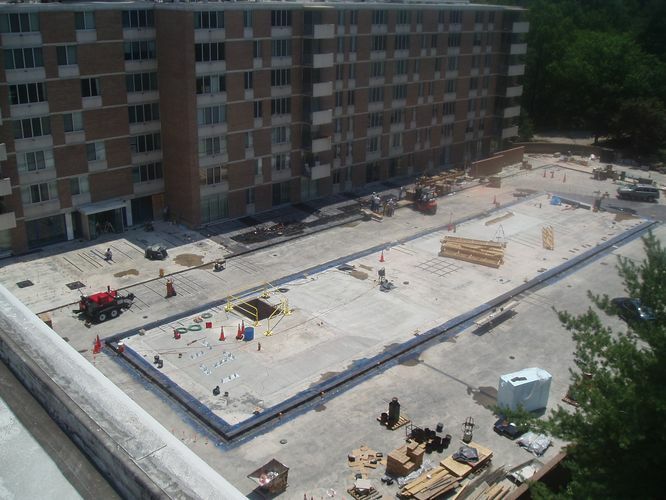 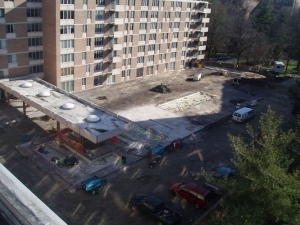 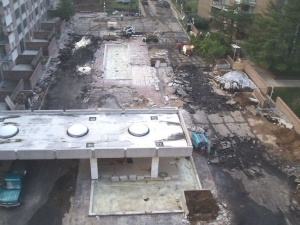 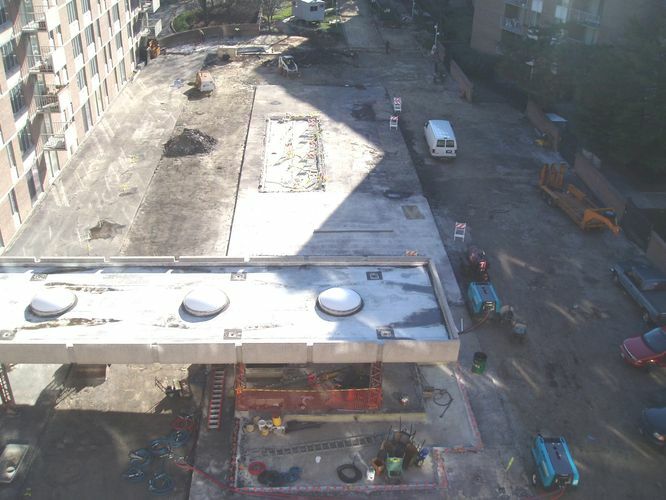 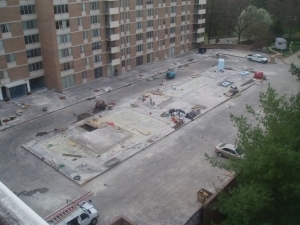 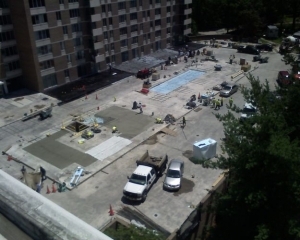 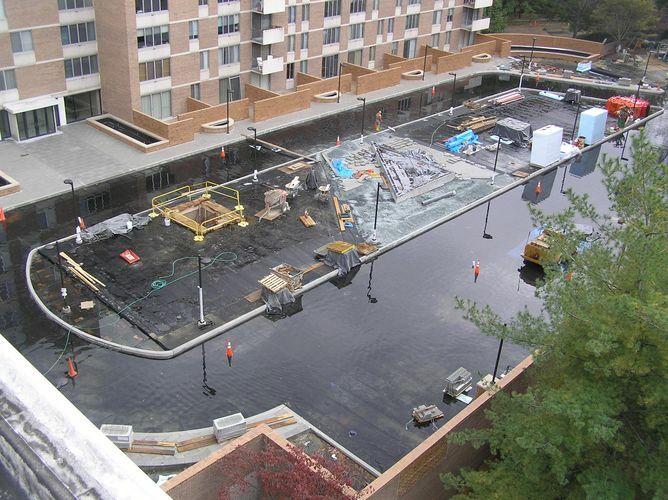 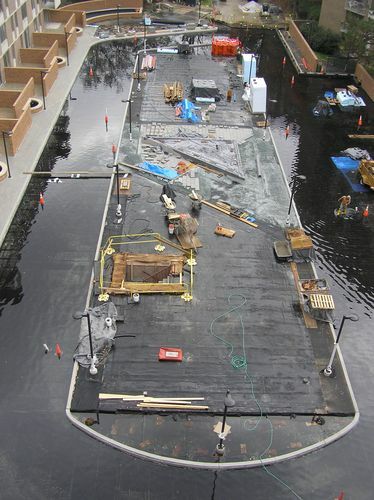 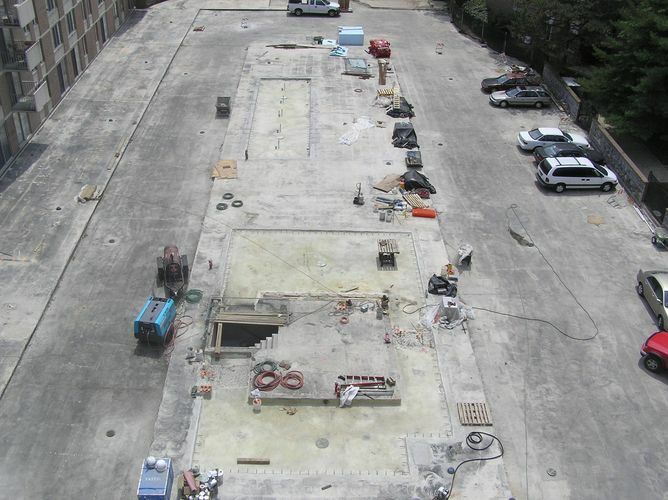 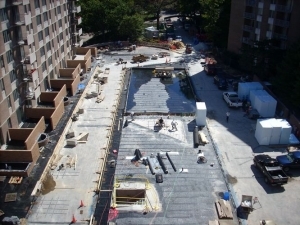 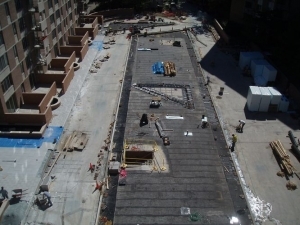 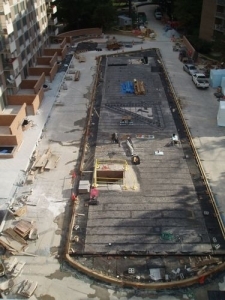 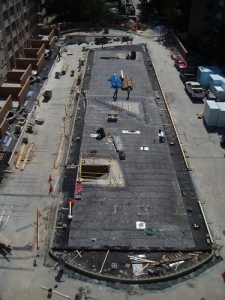 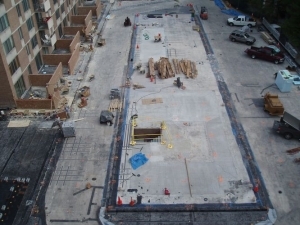 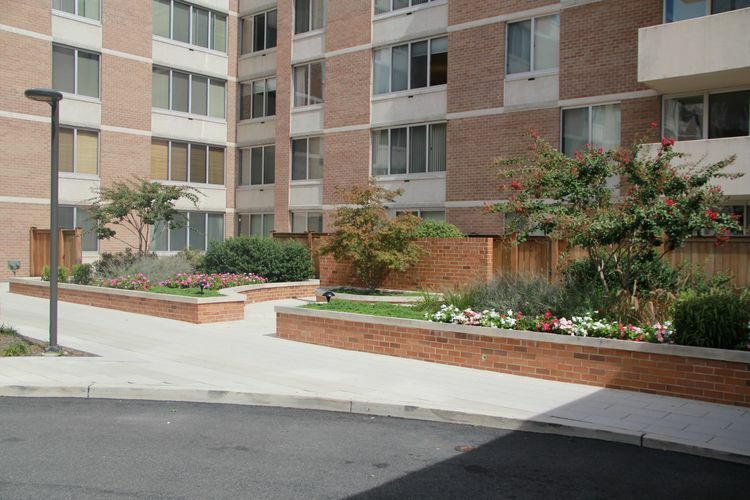 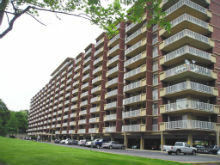 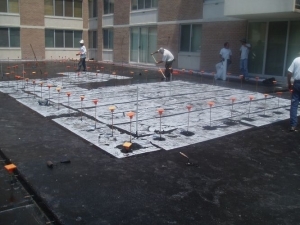 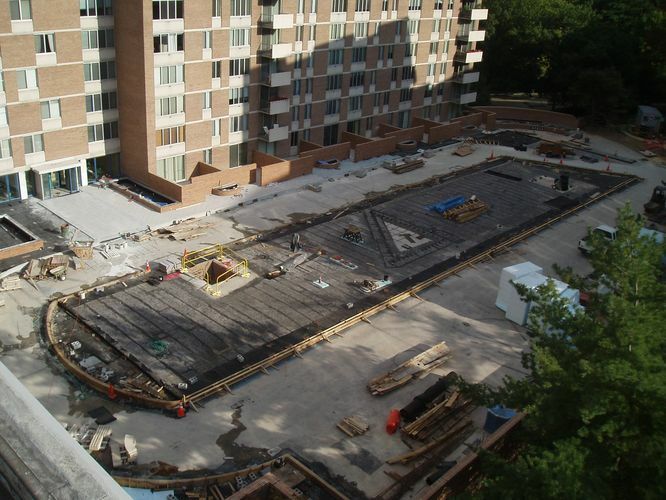 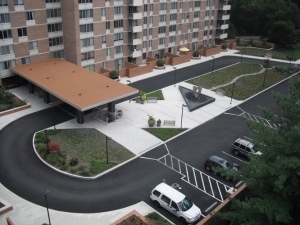 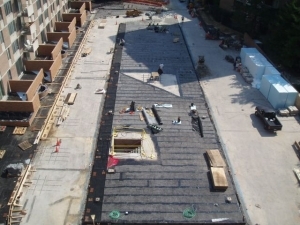 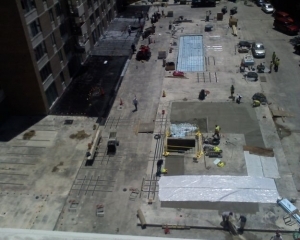 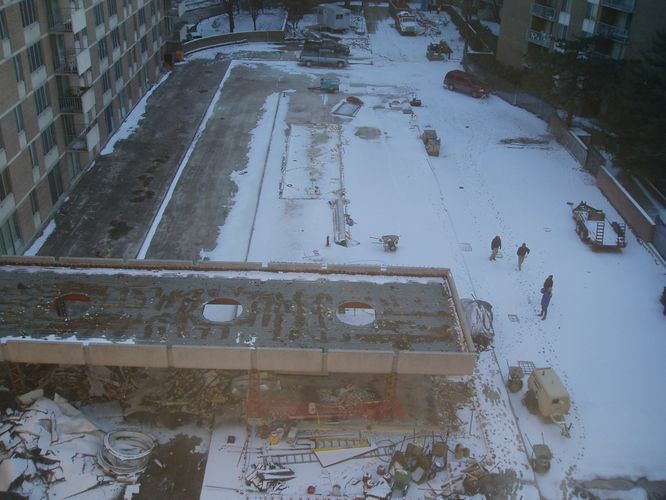 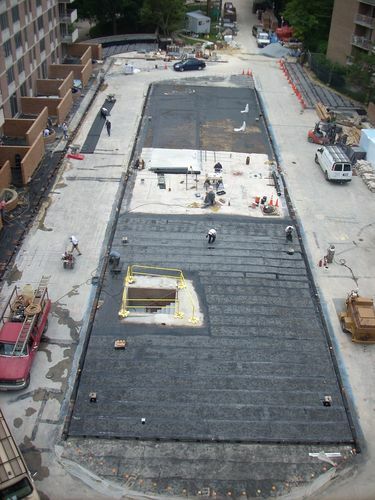 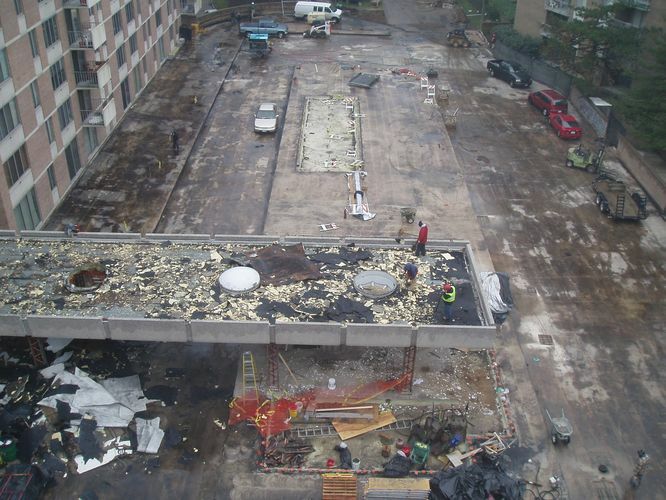 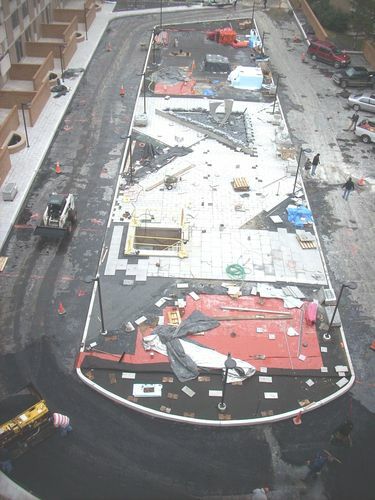 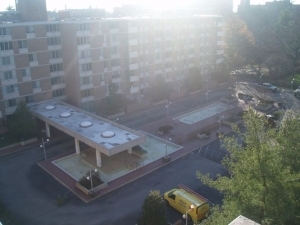 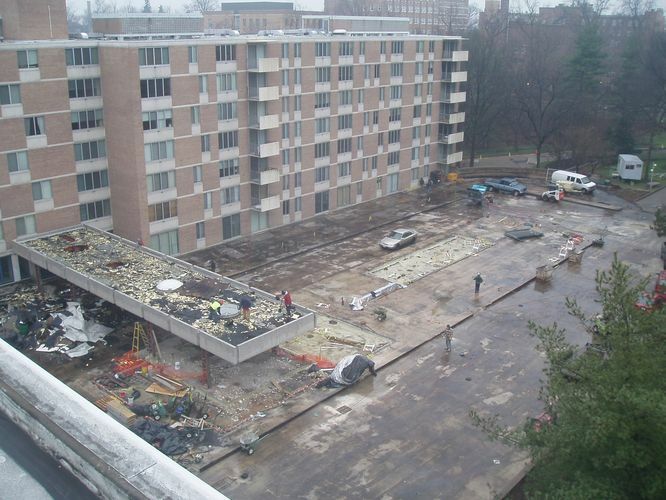 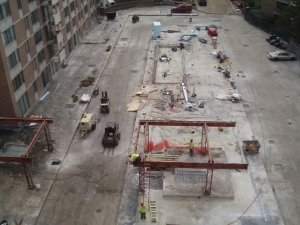 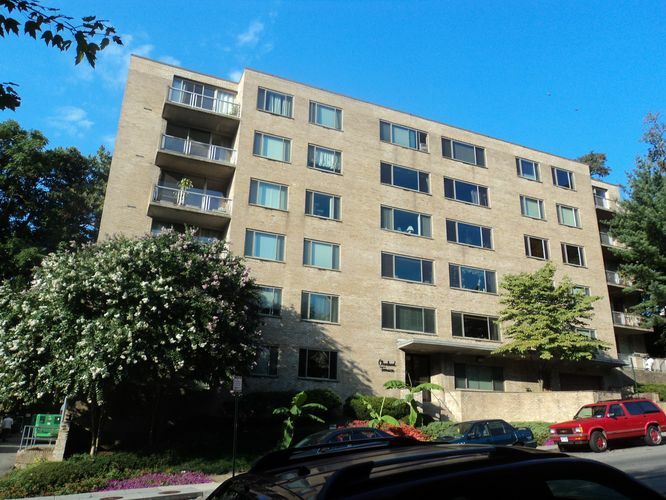 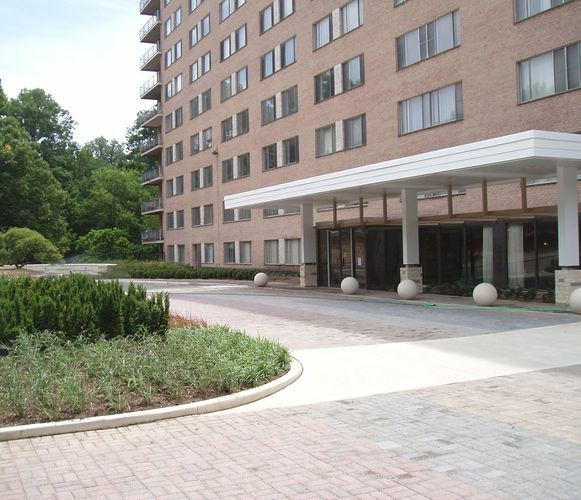 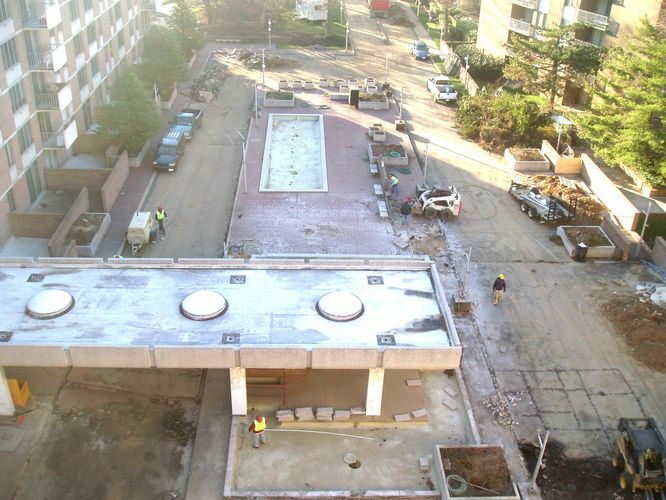 SRG’s Role: SRG was retained to perform an investigation of the plaza deck waterproofing system and perform a condition assessment of the plaza and garage concrete structure. 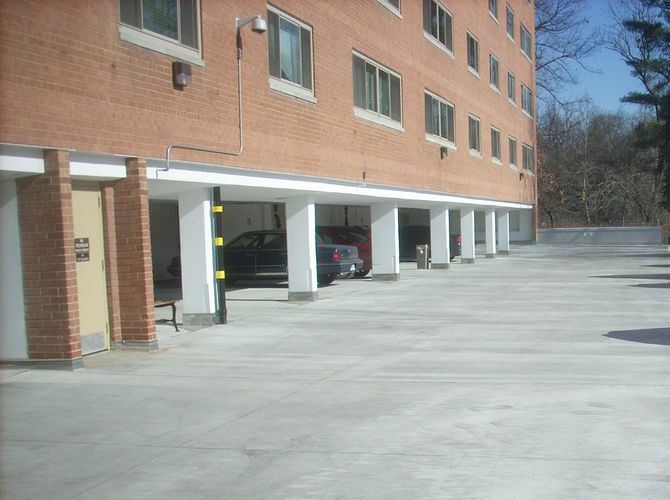 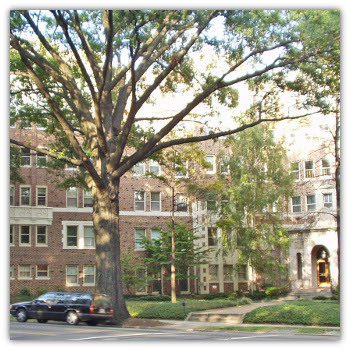 Based on our findings SRG developed a design package for the plaza and garage structural repair, and waterproofing replacement. SRG also worked collaboratively with an Architectural firm who was retained by the Owner after an interview process that SRG facilitated. 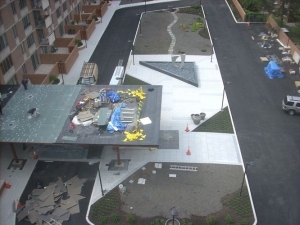 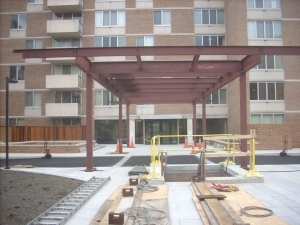 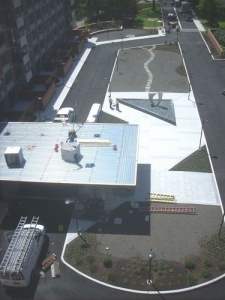 The selected Architectural firms then worked in unison with SRG in the development of new plaza features given the structural limitations of the existing construction. 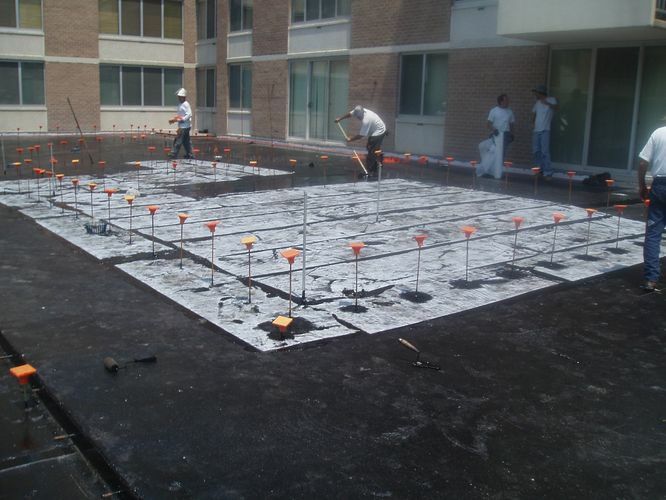 Where strengthening was required SRG facilitated in the design of the structural alterations and external (carbon fiber) reinforcement design. 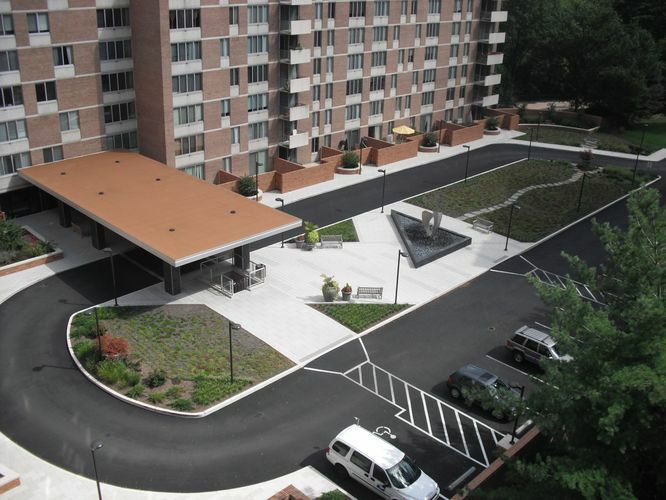 This design package was competitively bid after which SRG assisted the Owner in the contract negotiations and performed construction observation and contract administration services during the plaza and garage construction phases. 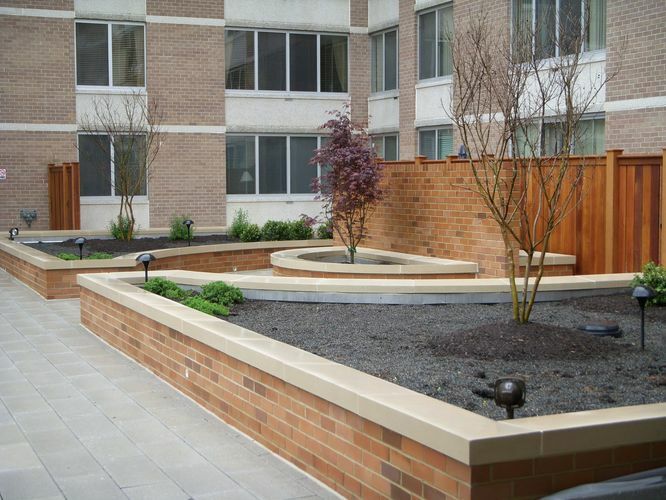 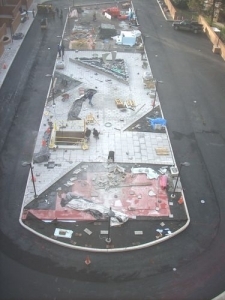 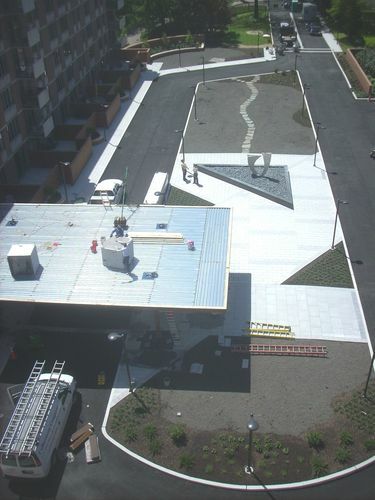 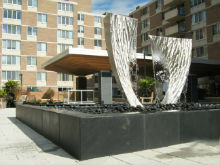 During the construction, major changes to the architectural features were made by the Owner to include a fountain and sculpture and SRG developed the necessary structural design modification documents and worked with the Contractor to avoid major delays and excessive cost overruns. 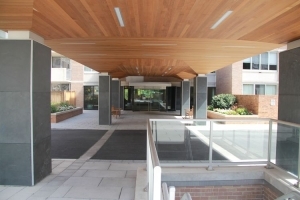 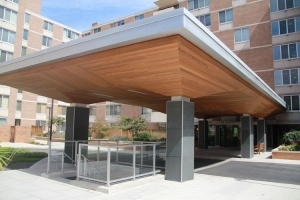 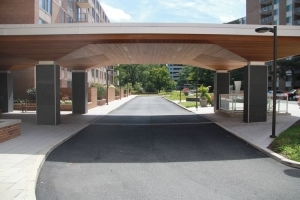 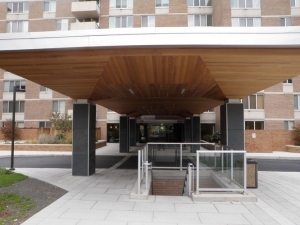 An interior designer was retained to develop a new canopy design with an intricate wood finish and this canopy construction was coordinated into the plaza and garage project. The landscaping incorporated an extensive planting design that would accommodate the plaza’s limited superimposed dead load capacity. 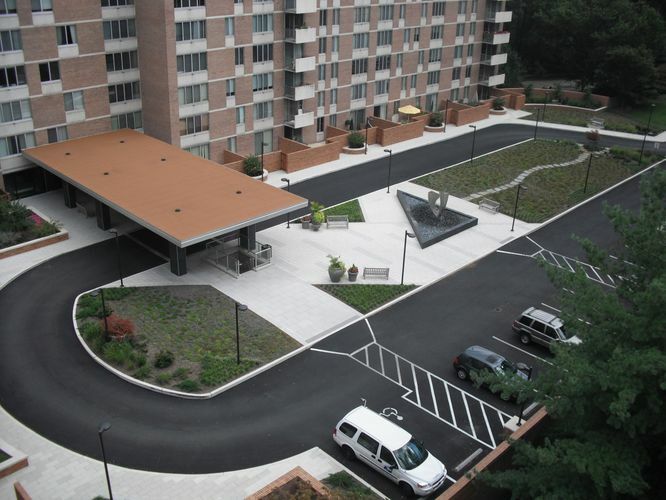 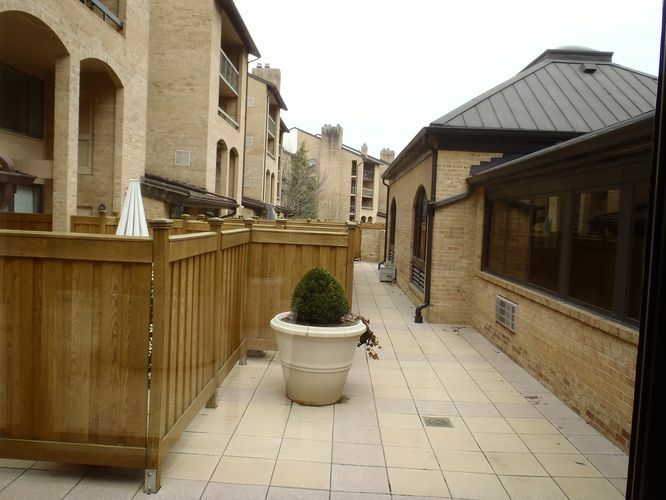 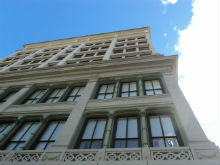 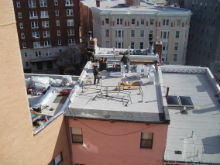 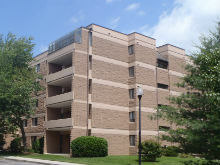 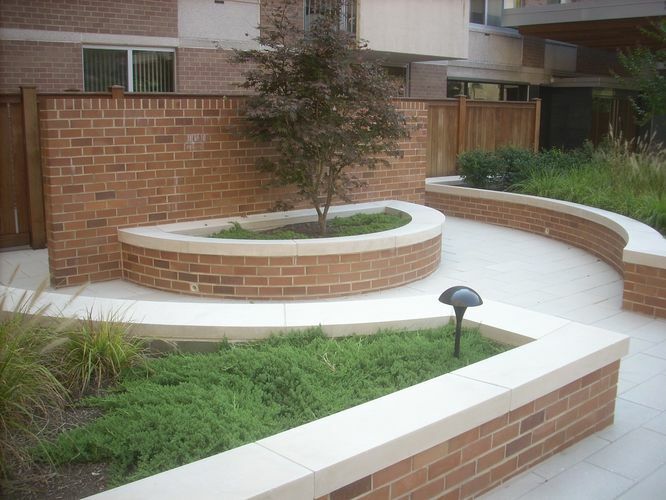 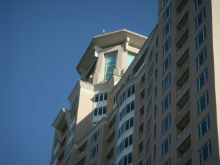 The project resulted in an enhanced appearance that is very attractive and requires significantly less annual maintenance.